The Quiche state in Guatemala flourished for several centuries before being destroyed by the conquistadors in 1524. During the early years of the ensuing period, the Quicheans recorded their past history and legends, writing in their own language but using the Latin alphabet. 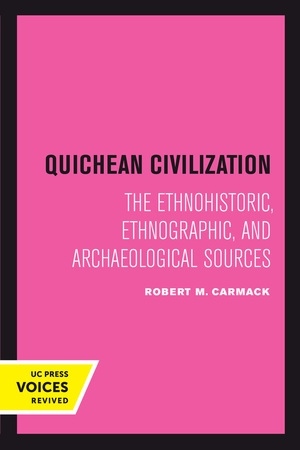 Many of these chronicles have survived, each illuminating various aspects of pre-conquest Quichean culture. 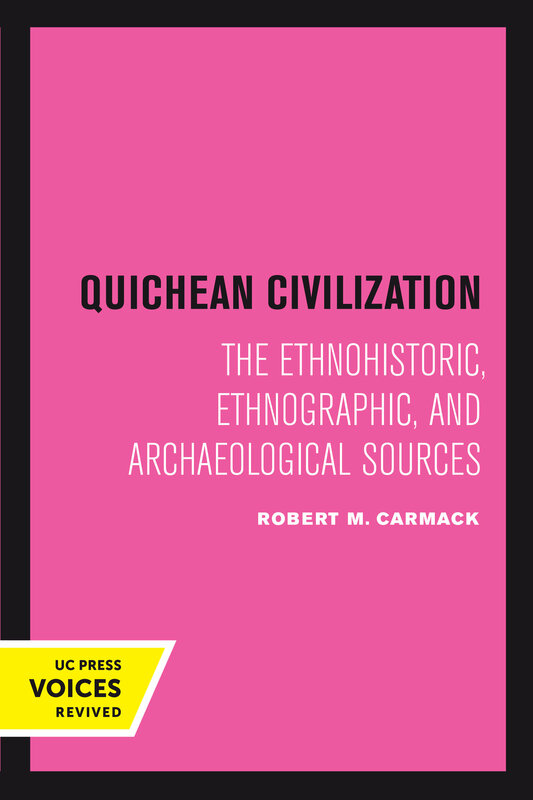 Organized in six sections, Quichean Civilization categorizes all the documented sources describing the Quiche Maya. This title is part of UC Press's Voices Revived program, which commemorates University of California Press’s mission to seek out and cultivate the brightest minds and give them voice, reach, and impact. Drawing on a backlist dating to 1893, Voices Revived makes high-quality, peer-reviewed scholarship accessible once again using print-on-demand technology. This title was originally published in 1973. Robert M. Carmack is Professor Emeritus, University at Albany, SUNY.